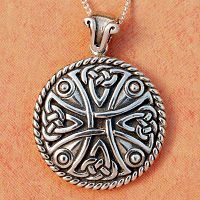 Strictly speaking, a "Celtic cross" is not just any cross that has Celtic knotwork on it. 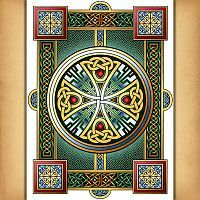 Celtic crosses are, in fact, much older than Christianity. They are equal-armed crosses, enclosed or backed by a circle. The cross can symbolize the four quarters of the earth, and/or the four elements (earth, air, fire, and water). The circle is a symbol of eternity and the path of the sun in the sky. After the introduction of Christianity, it became more common to see the equal-armed cross atop a matching pedestal, which gave it a more elongated form.